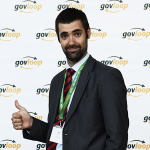 GovLoop recently hosted an awesome online training with Heather Krasna, an expert career coach who has been helping people network and land gigs for many years. 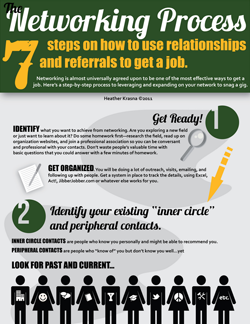 As an expert in all things careers and networking, Heather sent us an impressive document, detailing the 7 steps of the networking process. We then transformed it and out came this pretty nifty infographic!